One of the most common fears suffered by adults is fear of the dentist. Often this fear stems from unpleasant experiences during childhood. If, as a child, you were taken to a dentist who was not good with children, or if you had to have a great deal of dental work done, you might have developed a dental phobia. 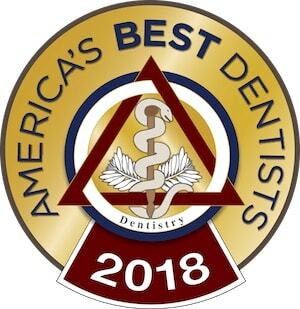 By offering sedation dentistry in his Columbus, Ohio family and cosmetic dentistry offices, Dr. Michael Firouzian helps alleviate these fears and provide a comfortable, anxiety-free experience. Those who suffer from dental phobias often experience extreme anxiety when they go to the dentist. This anxiety and tension causes overall stress, making it difficult to relax while work is being done. Even simple cleanings that cause no discomfort at all can become a stress-filled experience for someone with a dental phobia. With sedation dentistry, Dr. Firouzian will administer a mild sedative that helps you relax. This has the advantage that you can take it before your dental visit, and can feel relaxed before your appointment. The disadvantage is that you will need someone to drive you to and from your appointment. Dr. Firouzian can also do your dental work using nitrous oxide to provide a similar sedative effect. You will remain alert throughout your dental work, able to respond to questions or directions from Dr. Firouzian. You will, however, be completely relaxed and in a calm, almost dreamlike state. Your time in the dentist’s chair will seem to pass very quickly, and you will experience no anxiety at all. Sedation dentistry lets you get dental work you might be too afraid to approach otherwise. It can also make dental visits seem more normal and routine so you may overcome your dental phobia. Since much dental pain is related directly to anxiety, sedation dentistry can reduce the amount of discomfort you experience. In addition to alleviating anxiety, sedation dentistry can also be helpful to the dentist. If you have avoided seeing a dentist, Dr. Firouzian might discover that you need to have several procedures done in order to restore your overall oral health. Using sedation dentistry, he can more easily address multiple problems in a single visit. Because you will be relaxed, his work will be easier to perform. The sedative will also make time seem to go more quickly, so that procedures that take some time to do properly will not cause additional stress.